He didn’t get the memo…. 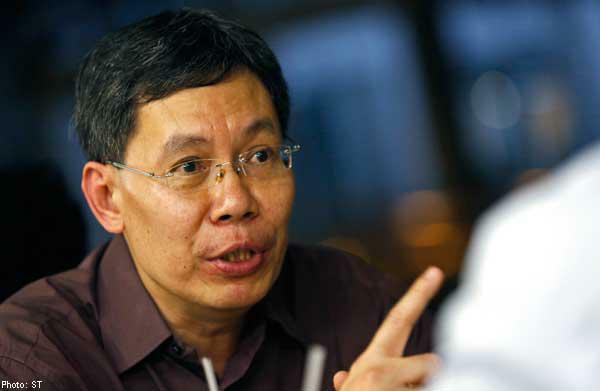 SINGAPORE: Public transport operators need to remain profitable to pay for future capital expenditure, and being profitable is an incentive for them to increase their efficiency, said Transport Minister Lui Tuck Yew in Parliament on Friday (Feb 13). He was asked by some Members of Parliament (MPs) on the need to increase public transport fares if operators were reaping profits. Mr Lui also said that in deciding on fare increases, the Public Transport Council takes into account a few factors, including how fares compare to other cities, and the percentage of household income that goes towards public transport. The Public Transport Council will also look at balancing affordable fares with ensuring the financial viability of the system, he said. Public transport fares are set to increase by 2.8 per cent from April. MP for Nee Soon GRC Lee Bee Wah also asked if the Transport Ministry plans to revise the fare review formula. Mr Lui said both SMRT and SBS Transit do not make high profits from running buses and trains. Rather, they remain profitable as a result of income through channels such as rentals and other commercial operations. “Stones.Houses.Glass,” said Mdm Salmah, 47 a housewife.